All aboard the Dinosaur Train!! We were lucky enough to be sent a DVD of the first two episodes of the new animation Dinosaur Train which aired for the first time on Monday at 4pm on Nick Jr. 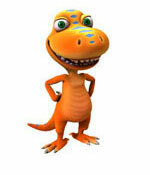 Hop aboard to learn what we thought of Dinosaur Train. 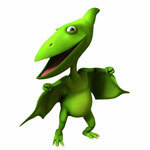 Dinosaur Train is a wonderful world of adventure and fun aimed at 3-6 year olds. The show is set in a realistic, prehistoric world of swamps, jungles, oceans and active volcanoes filled with an array of dinosaur species and other animal life in this colourful animation. The star of the show is a funny and intelligent T-Rex called Buddy who was adopted and loved by a family of Pteranodons after his egg hatched in their nest along with the baby Pteranodons. Buddy is a cautious but curious character who asks questions about the world around him and then searches for answers with the help of his mum and family, the friendly and knowledgeable Conductor of the Dinosaur Train, the dinosaurs he meets on the train and the new dinosaurs he meets at their destination. On his search for answers he has lots of exciting adventures exploring different dinosaur species learning about their lives, similarities and differences. This delightful new animation is made by the Jim Henson Company and was created by Craig Bartlett from Hey Arnold! Fame. The show introduces children to scientific thinking, the living sciences of paleontology and natural science in a fun way whilst introducing them to a variety of dinosaur species and comparing and contrasting dinosaurs. Dinosaur Train was created with the help of input from paleontologists, science teachers and early childhood education experts. 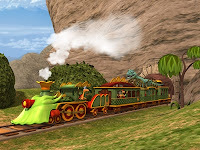 The Dinosaur Train has the magical ability to travel to any time or place in the entire Mesozoic Era (Age of the Dinosaurs) travelling through the time tunnels to the Triassic, Jurassic and Cretaceous time periods. In the first episode we see Buddy and his mum and Tiny go on an adventure; using the Dinosaur Train they travel from the Jurassic period to the Cretaceous period to meet a family of Stygimolochs to learn about dinosaurs with horns. The train is customized for all dinosaur species, with large enough for long-necked Sauropods and lots of headroom for large Theropods. The show was a huge hit with my nieces and it got their full attention from start to finish and they’ve watched it several times. The show is a great length, not too short but not overly long and within each 22 minute show there are two animated episodes featured. I am very impressed with the animation, the quality is superb, and I love the realistic and beautiful scenery and the lovely vivid colours. The show’s theme tune tells us how Buddy became a part of the Pteranodon family; it is extremely catchy and I have found myself singing along to it which Tristan finds very funny. I think Buddy is adorable, very loveable, his little smile makes him very endearing and he is a great funny lead character. Buddy has 3 siblings; Tiny, Shiny and Don and they all have a great relationship and they have lots of fun together getting into mischief. 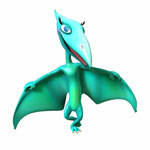 I love Shiny’s colour which differs from the rest of the Pteranodons who are green whilst she is a shiny aqua colour. I really like Tiny who is very lovable, she is the smallest of the family and she likes rhymes and singing either about something they have learned or about her favourite dish…fish. My nieces loved the entire Pteranodon family and they thoroughly enjoyed the antics of the siblings, Miss B said she loved Shiny who she thought was beautiful whilst little Miss E loved Buddy the most; she thinks he is very cute and very funny. They both found the show amusing, laughing at how Buddy fly’s through the air by being carried as he can’t fly like the rest of the family and how the conductor uses his claw to stamp the tickets. Tristan is a little young for the show but was transfixed by the animation and colours. It is definitely a show that we will be watching when he is older and I love that it will introduce the idea of dinosaurs and natural science to him. Lee loves science and dinosaurs and thinks this show will be great to help introduce to Tristan a love of dinosaurs and that it is great as it will entertain and educate at the same time. 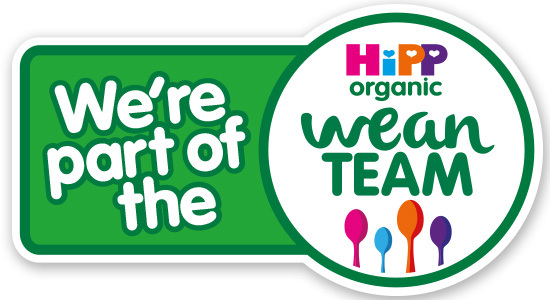 Not only does Dinosaur Train teach children about dinosaurs and natural science but I also think it encourages team work, problem solving and language skills. 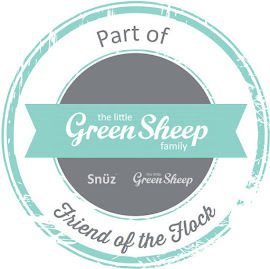 When Buddy, his dad and his siblings go fishing in the second episode of the first show teamwork is highlighted as well as difference, problem solving, growing up and learning new skills. The Pteranodon siblings and Buddy are being shown by Pteranodon Dad how to catch fish; Tiny struggles with how fish are normally caught by Pteranodons and in the end Buddy and Tiny team up and come up with a new way of catching the fish. When they are fishing you also see how the family make accommodations for Buddy’s differences as he is not a Pteranodon and doesn’t have a long beak and cannot fly, so his dad gives him a special job of using his sharp eyesight to be the spotter looking to see where the fish are for the rest of the family. The family helps Buddy out when flight is required by carrying him. I think the show encourages language skills by using the correct names for the dinosaurs and you also see a lot of rhyming within the show, Tiny loves to rhyme and sing songs. 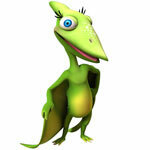 Dinosaur Train brings the world of dinosaurs to life in a fun and friendly way for children. 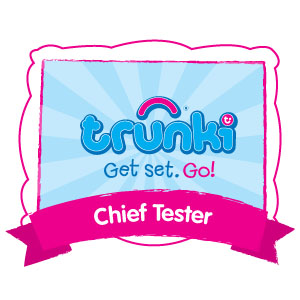 The show is bursting with creativity, fun, information, knowledge and colour. 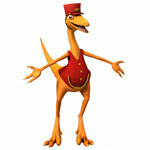 It is a great show for all children and it is especially perfect for little one who are obsessed with dinosaurs. 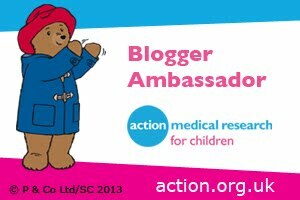 The show is very watch-able and I love that it combines educational facts and with entertaining characters and brilliant animation. I love that there are lots for little ones to learn in this show, I am impressed that they show didn’t dumb down things and I think it’s brilliant that the dinosaur species and different time periods are given their full, correct names and not made up, children’s versions of the names. I like the explanations the show gives about the different dinosaurs, why they have particular features and how they live. the different dinosaur species featured on this show is immense and I like how its not just the usual suspects, not only has the show educated my nieces but I’ve also learnt a lot about dinosaurs and species I’ve never heard of. During the first 10 episodes a few of the dinosaur species we will be introduced to include Palarobatrachus, Brachiosaurs, Peteinosaurus and Ornithomimus. 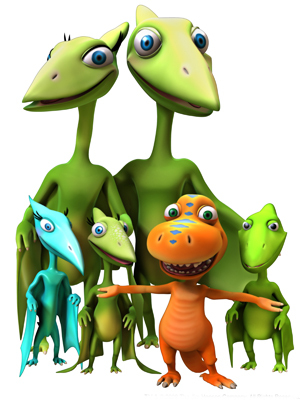 The fun of Dinosaur Train can also be experienced on Nick Jr’s website where you can get to know the Pteranodons famly better, watch videos and print pictures to colour in. Climb aboard the Dinosaur Train every weekday at 4pm on Nick Jr and join Buddy, his family, the Conductor and a host of dinosaur species in their fun adventures. Thanks. I'll definitely read your review. The colourful characters are great! A lovely review, enjoyed reading it. We have received the same DVD and I am yet to write my own review. My guys watched it with interest, though my little man is a bit too young to understand everything, I am sure he will watch it when he is older with more attention and will learn more, so far he just enjoys the colourful characters.